Step by step. Baker assembling a chocolate cake with colorful buttercream frosting. hd00:14Step by step. Baker assembling a chocolate cake with colorful buttercream frosting. hd00:28Step by step. 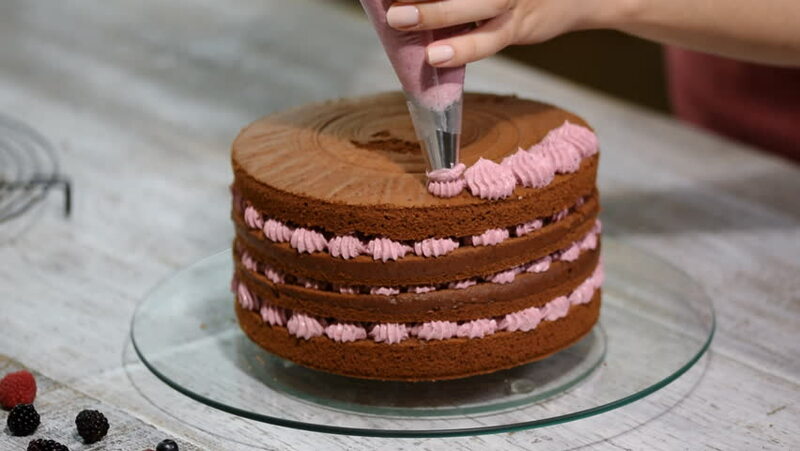 Baker assembling a chocolate cake with colorful buttercream frosting. hd00:12Preparing making chocolate cake with berries. Woman's hand decorate cake. hd00:19Preparing making chocolate cake with berries. Woman's hand decorate cake. hd00:12Confectioner is decorating chocolate cake. hd00:30Preparing making chocolate cake with berries. Woman's hand decorate cake. hd00:08Preparing making chocolate cake with berries. Woman's hand decorate cake. hd00:31Preparing making chocolate cake with berries. Woman's hand decorate cake.